With the accelerated pace of change in recent years, trends such as disruption, digitalization, innovation and so on, have crept into our daily corporate language. There are countless stories and examples of how each one impacts business results. Impacts should not just be about financial results. In the pursuit of profit, it’s easy for organisations to forget about the impact their business makes on society, employees, human rights and the wider environment. It is very encouraging now to see so many companies grabbing hold of this and prioritizing their Corporate Social Responsibility (CSR). Many of my clients include CSR in their business planning. You’ll regularly see links and references on corporate websites to nominated charities, such as Londis supporting Pieta House and Glanbia supporting Barrettstown. I do appreciate that it may be seen and mis-interpreted by some as a cynical brand-building tactic. There is no doubt that it can only be good for your brand. But I have experienced some genuine and heart-warming examples that are well intended. On a related point – there is also a lot of talk about millennials and how ‘they’re different’. Some say they have an entitlement mentality… others say millennials want to work for companies that make a positive difference in the world. Well I don’t get as excited by the millennials debate. I believe people of all ages want their employers to be successful on the one hand but also to care about being good corporate citizens. Founded in Australia in 1961, Harvey Norman now have 300 stores worldwide. The Irish story started 15 years ago where they soon became a leading retailer of furniture, bedding, computers and electrical goods. The company now has 15 stores across the island of Ireland. Despite the downturn when many international retailers abdicated, Harvey Norman stuck it out. At great cost, they showed their commitment to their own employees and took a long term view of the Irish market. They have further invested in Ireland by recently opening a new flag-ship store in Tallaght. Harvey Norman is a retailer where every customer interacts with an employee on every visit. That’s not the same for every retailer. After all, you could shop in Tesco and pay at the automated checkout without speaking to a soul. In a high-touch business like Harvey Norman, the sales teams have a huge impact on the customer’s experience. So the need for ‘employee engagement’ is high. When the Irish company returned to profit, they decided to also re-invest in their people. A major Leadership Development Programme was one initiative. And, because employee engagement is so critical to delivering excellent customer service, they surveyed their full team countrywide to get their anonymous views on life in Harvey Norman. For a multi-site retailer that is totally owned by the company (not a franchise operation) they delegate much more autonomy to each Store Manager than I’ve seen in other retailers. Despite deals being negotiated centrally, managers locally make a lot of decisions about product mix, presentation and more. That also includes which local communities should be supported and how. Harvey Norman recognise the link between employee engagement and customer satisfaction. Therefore they take their Employee Engagement Surveys seriously. In their most recent one, they got high scores in many areas which made them very proud. But in the interest of continuous improvement, there was one area that stood out as an opportunity for improvement. While there were lots of local community initiatives happening, the employees felt that the company could be more expressive in showing that they care, i.e. in their CSR. 1. The first thing to do for any organisation is to include CSR on your agenda. It may be that you already have some initiatives underway and are not calling it CSR. There are excellent resources in csrhub.ie and bitc.ie which encourage you to do an initial audit of your current initiatives and your future aspirations. 2. There are some fundamental things that you could put into action straight away, such as respecting the environment, partnering with a charity, supporting job-bridge programmes, etc. Harvey Norman already ensure that the wood in the furniture that they buy comes from sustainable forests. They use low-energy lights in their stores. They also ensure that work conditions and labour laws are respected in their total supply-chain. 3. Get your people involved and encourage them to come up with relevant initiatives that they can own and drive. When the initiatives come from the bottom up, the level of commitment and engagement increases. Harvey Norman listened to their people in the engagement survey and facilitated a company-wide CSR project, empowering teams stores to develop their own plans. 4. Be authentic and use your strengths and skills in your CSR projects. If you are a professional services company that releases your people for one day a year to paint a premises for a charity, well that of course has to be admired. But what about using the skills at your disposal in another way? 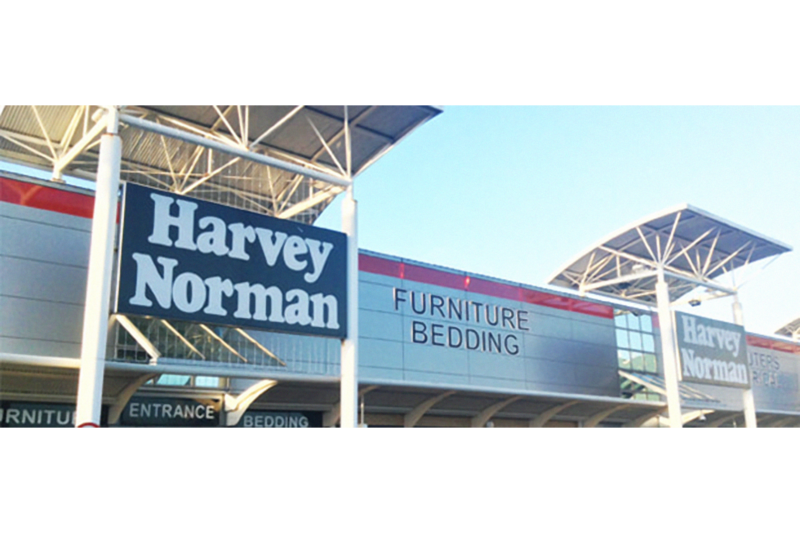 Harvey Norman are in the bedding and furniture business. Their initiatives focused on providing bedding to the Peter McVerry Trust, raising €174,000 in four weeks. “Not only that, but we now intend to enable the Trust to piggy-back on our buying power to get better deals in the future. We are also exploring the idea of providing training in computers to the disadvantaged” said Blaine Callard CEO. When you take CSR seriously, there are a number of potential wins for you. Involving your people organisation-wide is hugely positive, motivating and makes people feel good. Engagement, pride and commitment increases. Customers and suppliers will also respect you for it. And that’s good for business.